We all saw a lot of floral prints this summer but as we quickly approach fall, i realized i am not done with it yet. 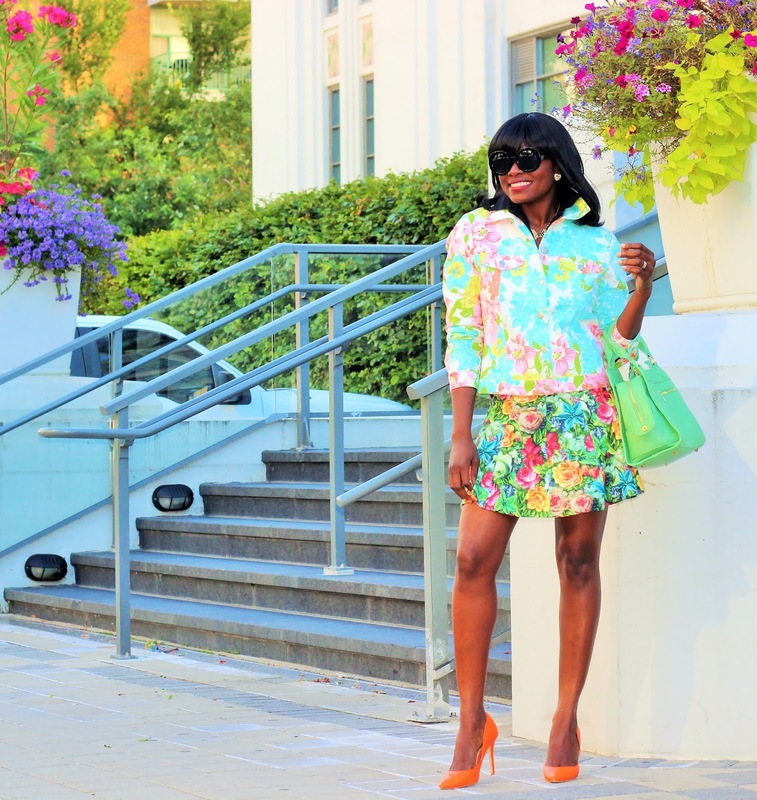 What is not to love about floral prints especially if they come in sweet colors. Which is why i am busting out with colors and floral prints right into fall this season. 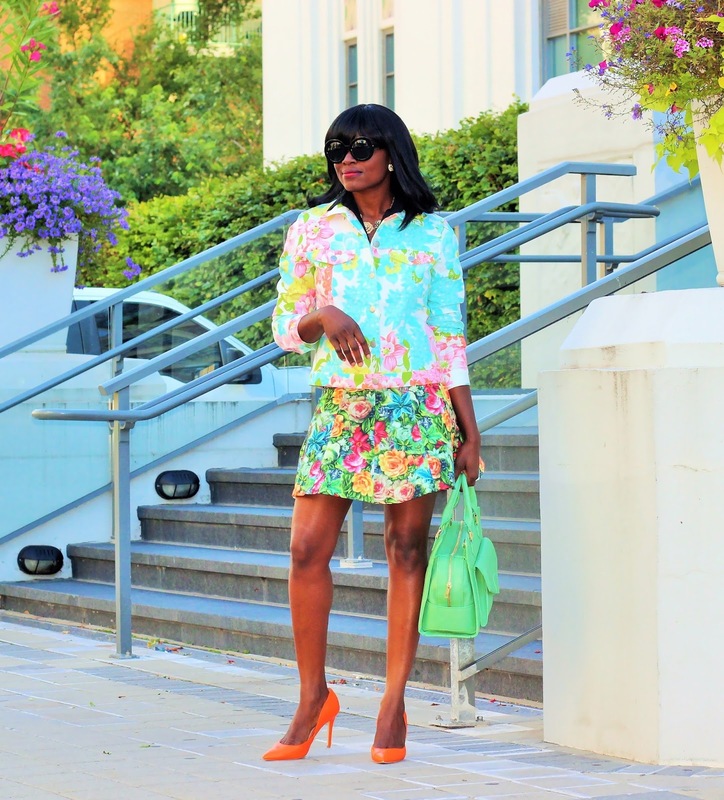 Mixing and matching prints is kind of like an absolute must for me because i love it, it is so trendy, it is fun and it gives me a chance to layer as i wish. 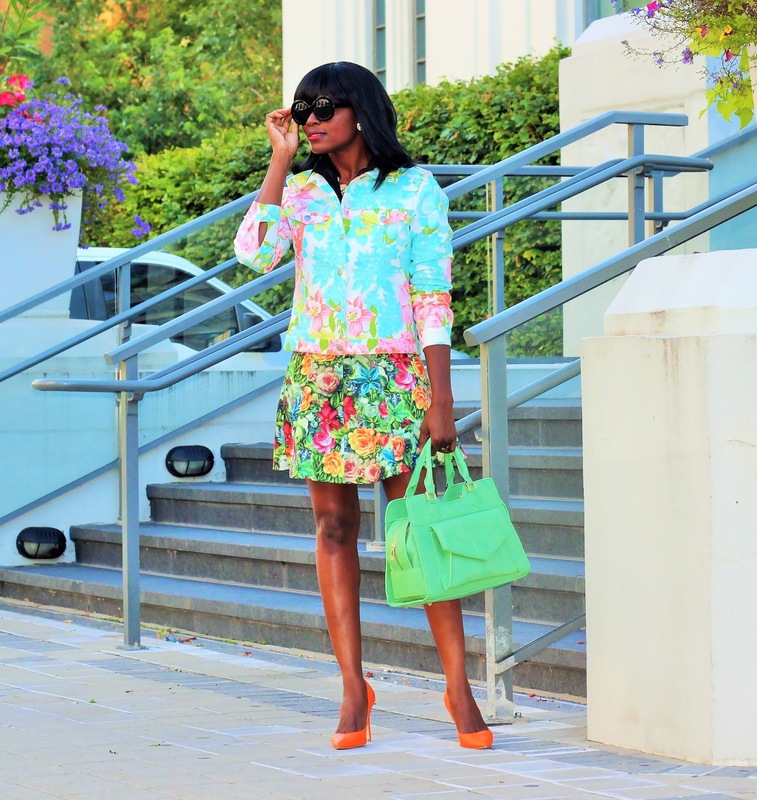 A floral print is no exception. 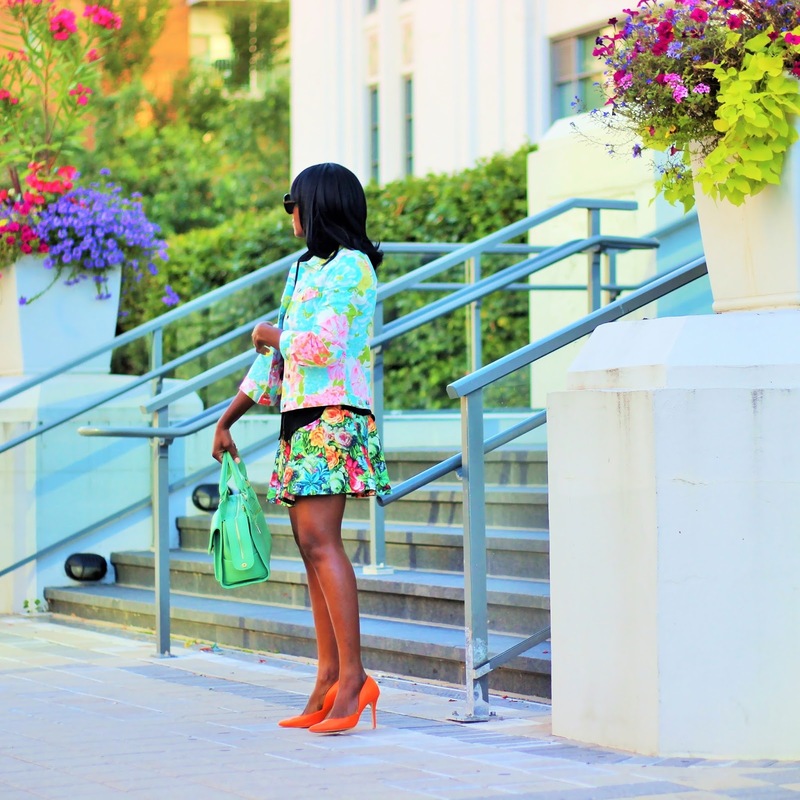 Here, i have on a floral print satin skirt paired with a floral print denim jacket. 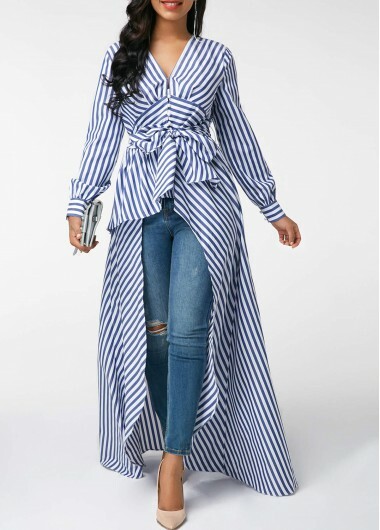 I layered it with a classic black buttoned down shirt with a belt to cinch the waist, and it definitely cuts the two prints. You sure did hit it outta the park here and I Love it all.. . the shoes, bag, jacket, skirt and the smile. We must enjoy with the summer a little more :) Nice look!!! Today new post, Denim and lingerie dress! Today new post in www.kelataconea.com, Denim and lingerie dress! Thank you so much Kela. 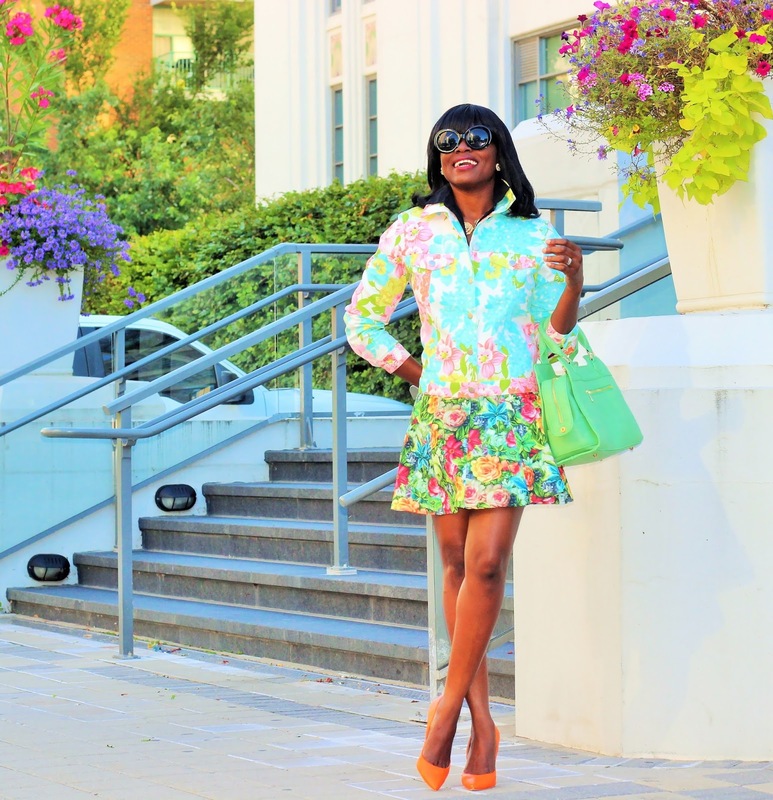 Wow busola you look stunning in these colors! I am totally in love with your skirt and I want to steal that bag from you! beauty love the shoes! 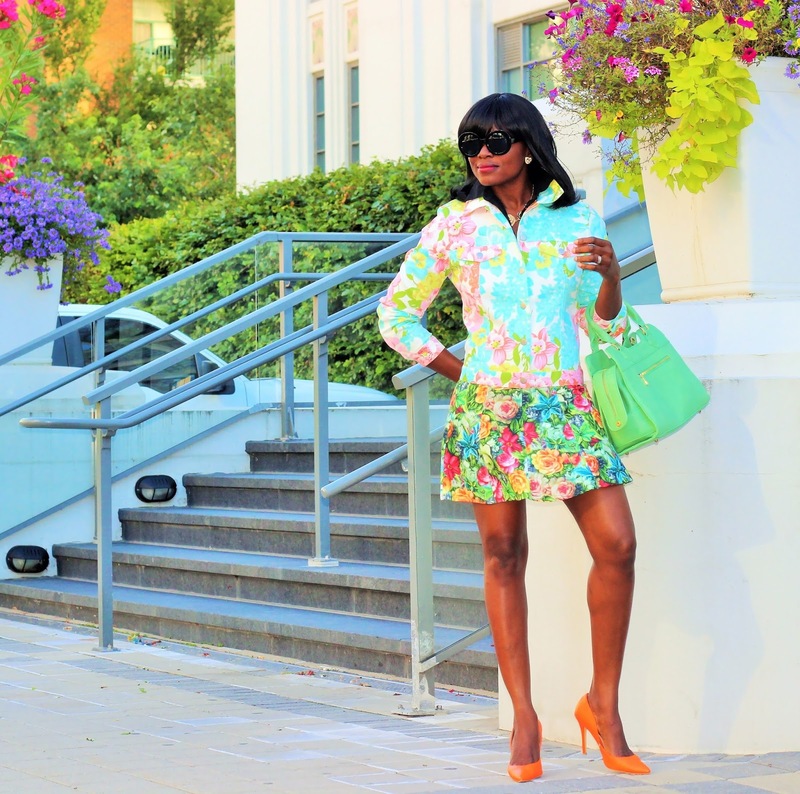 orange is definetly the best choice..
You look so well in florar patterns, Busola. 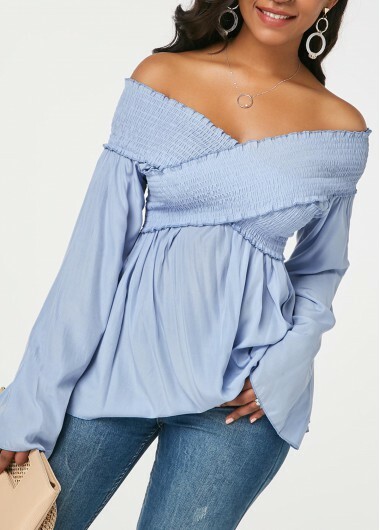 I like this look very much! Colors love you hun! I love those heels. Outstanding pattern mix , I just love it, so vivid and fun ! Keep up the summer vibe, even as it is ending. 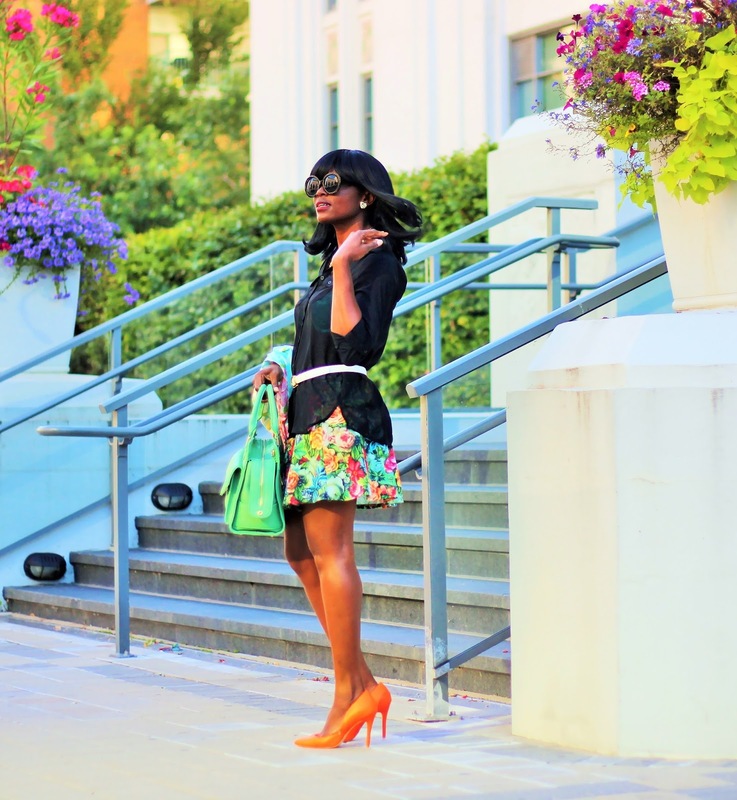 Love the way you grounded and framed each print with that black blouse..
You look lovely in floral Busola! And hand over that bag! Aww, thank you so much Mag and i really do appreciate all your comments and for stopping by. You are AWESOME Elle!! Thank you so, so much for all your kind words and for always stopping by. You know how much i love colors and you are the queen of prints and pattern mixing :). Hahaha, yes ma'm. Will do! 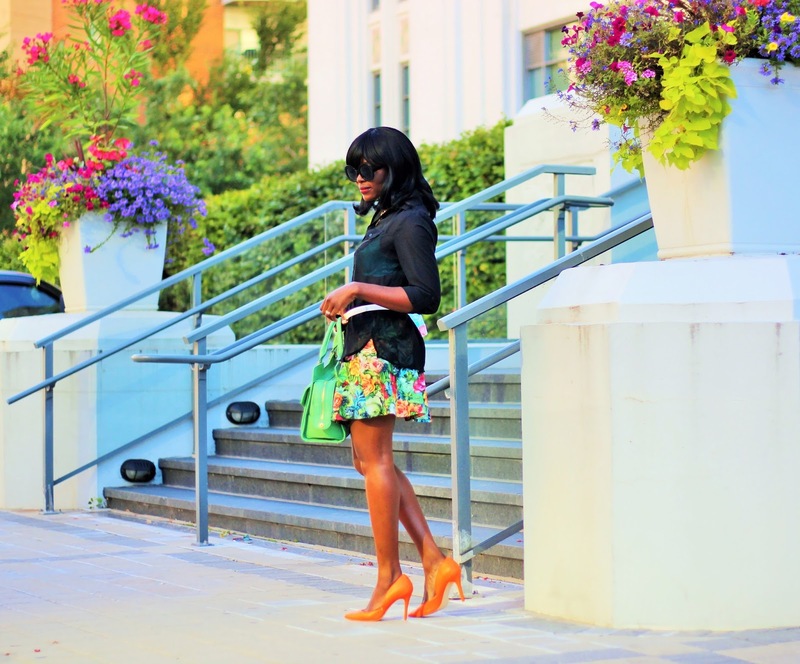 I love the neon green overall tones and the floral prints... the whole outfit looks like a piece of art! 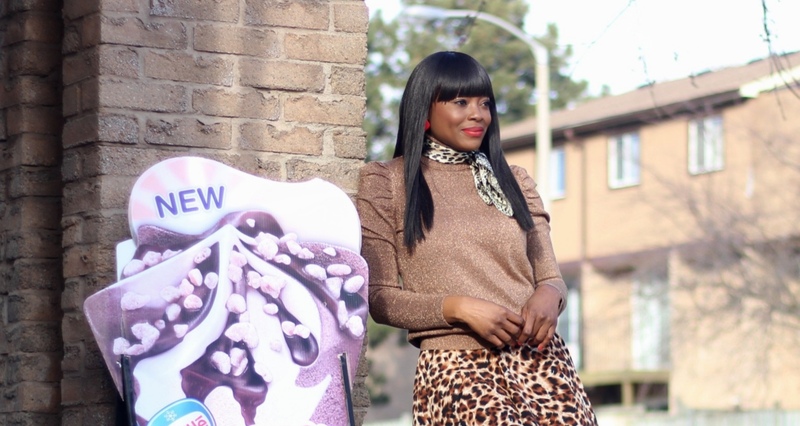 Cool print combo looks stunning on you. I love the matching blazer and skirt. So pretty. Beautiful floral combo!! Love those pumps!! 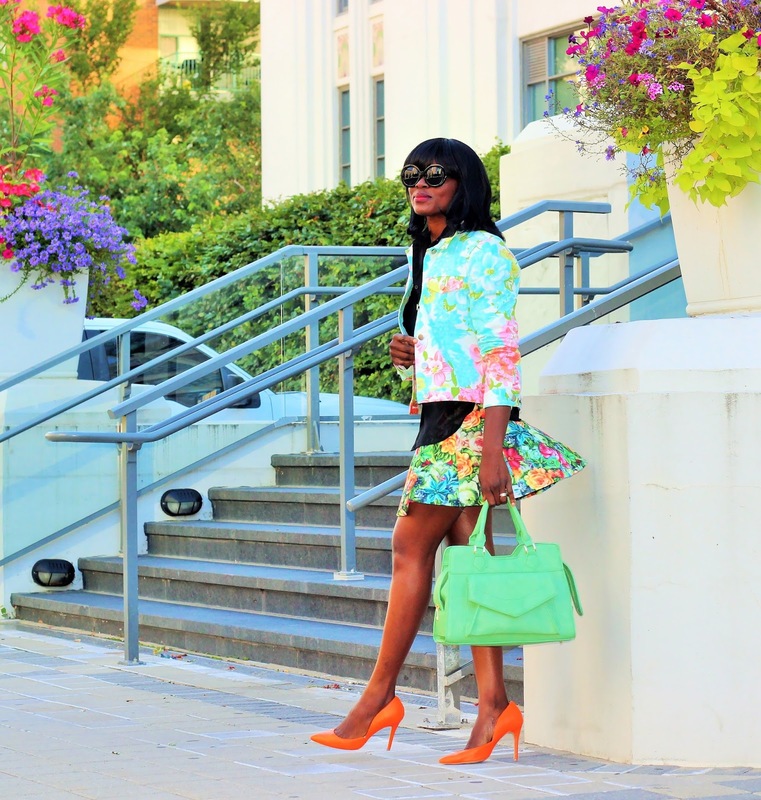 Great floral mix, seriously loev your skirt!!!!!!!!! So fun and colorful! Wearing floral print with more floral print is very unexpected (I would think it would be too much), but it works great! Love your look!